Styles, Materials, Sizes and Colors! With so many options, we'll get you the best Custom Garage Door for your home! Regardless of your project, trust All About Doors to get it done right and on-time! For any style of home, we have the variety of quality garage doors available to finish your home beautifully. We are proud to serve all residents of the Greater Portland Metro area. Whether you need installation, repair, or replacement, we provide quality garage doors at an affordable price. We offer robust services that cover both residential and commercial garage doors. Our experienced, professional technicians can handle any repair or installation you might need. Improper garage door repair can be disastrous to your home, which is why we guarantee to do it right the first time with a 30-day labor warranty on any services performed. A garage door is more than just a door. 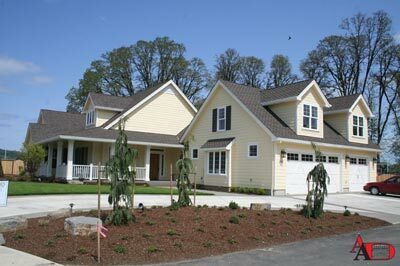 Garage doors help to accentuate your home and protect it from intruders and the elements of the weather. Therefore they must be reliable, a faulty garage door can cause many problems for your everyday life. At All About Doors we aim to help you with all of your garage door repair needs. Doors, just like cars, need to be serviced by professionals to function at their best. When something goes wrong you need a garage door repair company that you can turn to for fast, reliable service. Get garage door repair right when you need it! Garage doors and openers often require specific parts. Ordering them independently can take weeks, and that’s if you can find them. We’ve got the parts needed to repair makes and models of garage doors from nearly every manufacturer. As an authorized dealer for brand name manufacturers that include Wayne Dalton, Amarr, Clopay C.H.I. NW Door, Genie, Marantec and Chamberlain Lift Master. we can’t wait to help you find the perfect garage doors and or opener system. Breadth of service and access to parts isn’t the only benefit we provide. As a family owned business with more than 25 years experience servicing garage doors in Portland, we’ve built our business on being the best at what we do. Intensive training, a commitment to quality, and unrivaled customer satisfaction make us Portland’s first choice. Warrantied service you can rely on. All of our garage door repair and services are backed with a 30 day labor warranty. Parts are warrantied for a year. With that kind of peace of mind you can rest assured your garage doors are going to last. No matter what your home or commercial property requires, call us now (503) 620-2453 for reliable, warrantied, full services for your garage doors in Portland.